It was another gorgeously warm day under the Caribbean sun as DAR members eagerly disembarked to begin our excursion into historic Bridgetown, Barbados to get a taste of the city and a special glance back into history. This delightful island was uninhabited when the British arrived in 1628, but it now boasts a population of nearly 100,000. As we traveled from the port to our first stop, we learned about the importance of sugar in the history of Barbados and the shops along the commercial streets bear witness to this past. Our tour guide mentioned that all the duty-free shops and numerous banks are now housed in old sugar barns. 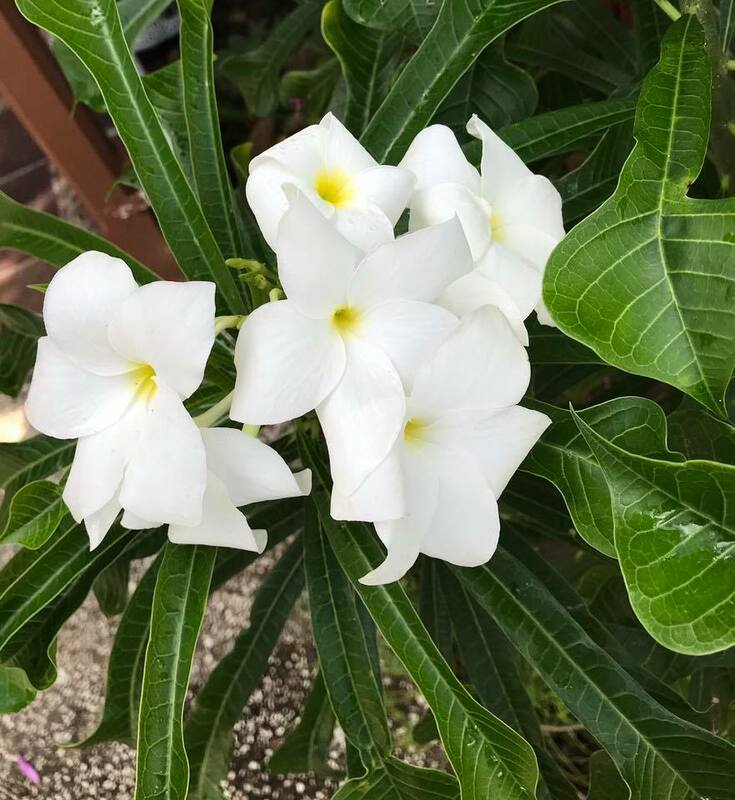 The economy of the island has evolved from the glorious days of grand sugar plantations to now being 70% based on tourism. Given the camaraderie among the Daughters, we were very pleased to be participating in the tourism part of the economy and not the sugar cultivation! 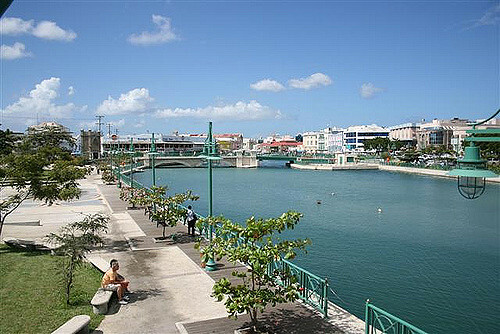 One of the interesting facts we learned is that Barbados doesn’t have any natural rivers, only one man-made one called Constitution River. It acts as a drainage channel for heavy rain run-off from the surrounding hills and can also function as a shallow passage for small craft boats and medium-sized yachts. 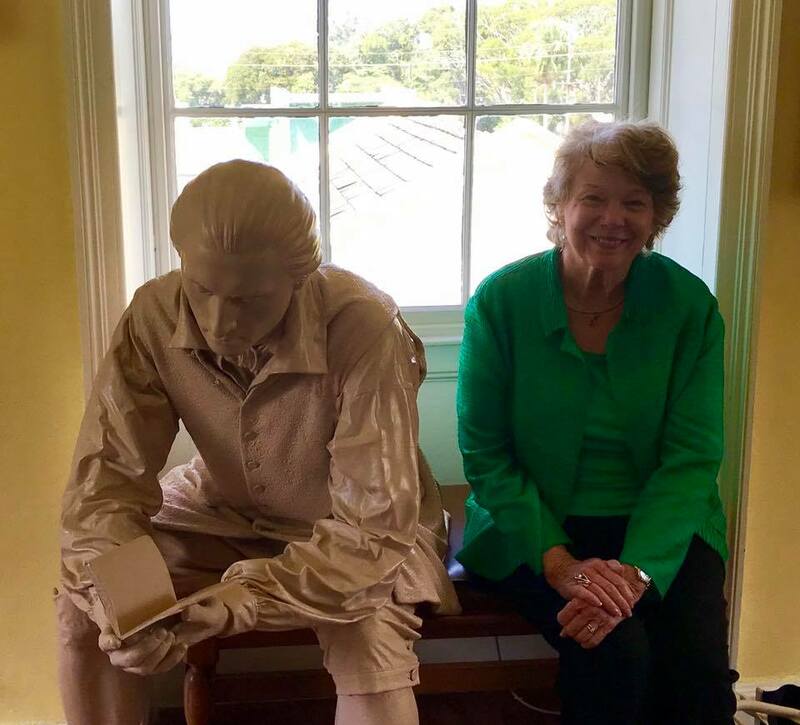 We soon arrived at the Bush Hill House, also known as the George Washington House, which is delightfully situated above the Carlyle Bay and adjacent to Charles Fort. Though young George only spent about two months here, the sojourn had a profound influence in his life. At that time, it was the largest city he’d visited, it afforded him the opportunity to observe the fortifications of Charles Fort and the ensuing military drills practiced there, and his social encounters included a naval commodore, an army general and even the Governor of Tortola. Even his unfortunate bout of smallpox proved to be fortuitous, as having the infection grants life-long immunity and this spared him when the disease raged among his troops during the American Revolution. 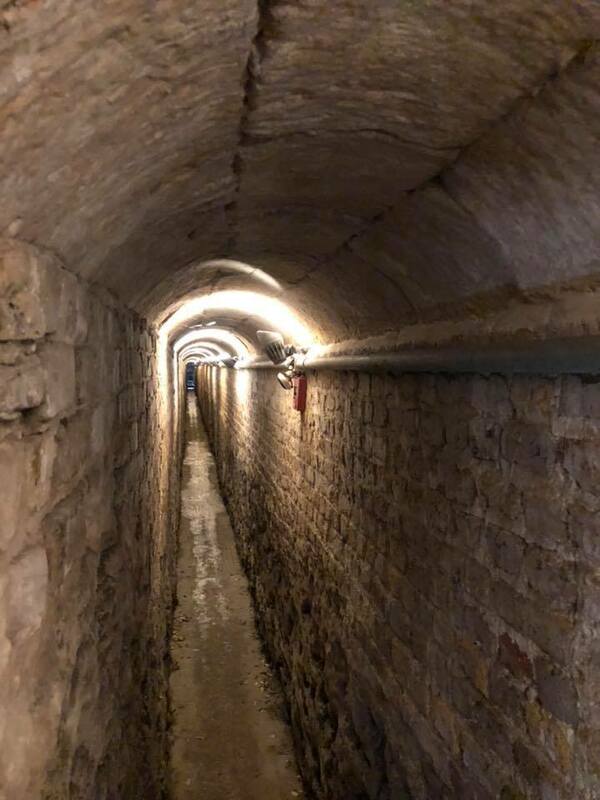 Having worked up an appetite combing through the exhibits at the house and snaking our way through an underground tunnel, our next stop was Mustor’s for an authentic lunch of fish, chicken or beef stew. Our guide explained that most of the island’s food is fresh and locally sourced… in other words, absolutely delicious! Replenished, we continued on to the Barbados Museum and Historical Society housed in an old military prison. The historic architecture enhanced the exhibits of Barbadian history that were proudly presented by our docent. 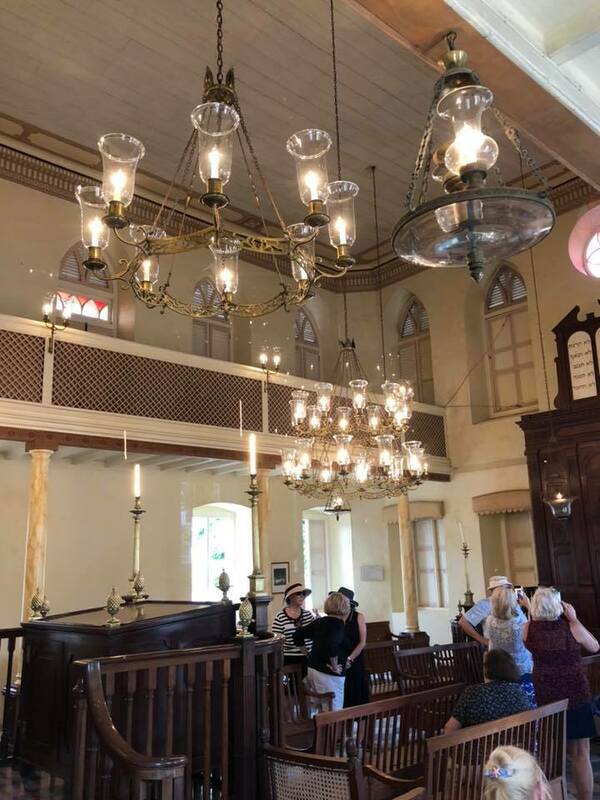 Our last stop for the day was the Nidhe Israel Synagogue, one of the oldest synagogues in the Western Hemisphere. Sephardic Jews who arrived on the island as refugees from what was formerly Dutch Brazil built it in 1654. They brought with them expertise in sugar cultivation which contributed to the development of Barbados as a major producer of sugar. We eventually returned to our floating abode to savor the day’s excursion, dine with our friends and anticipate the next day’s adventure! #TBT 125 years ago, on April 19, 1894, the Sequoia Chapter in San Francisco, California, planted a �... 20 hours 29 min ago.